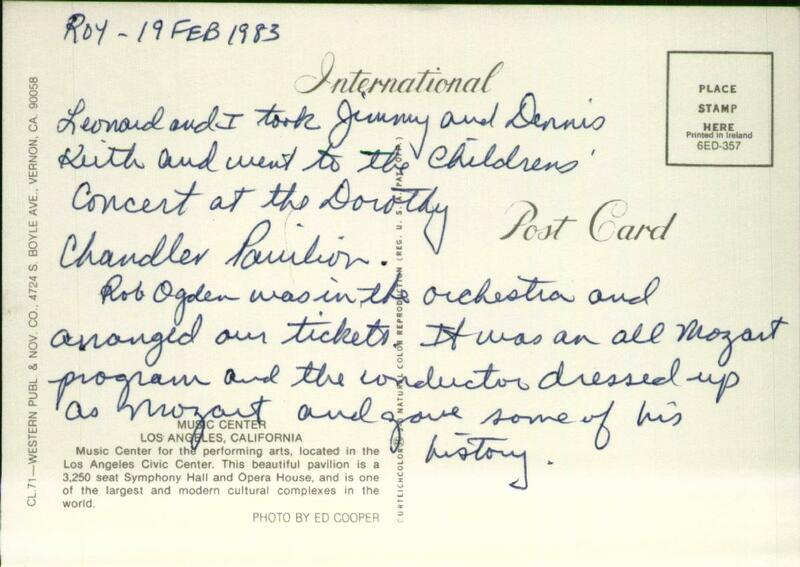 Leonard and I took Jimmy and Dennis Keith and went to the Childrens' Concert at the Dorothy Changler Pavilion. Rob Ogden was in the orchestra and arranged our tickets. It was an all Mozart program and the conductor dressed up as Mozart and gave some of his history. 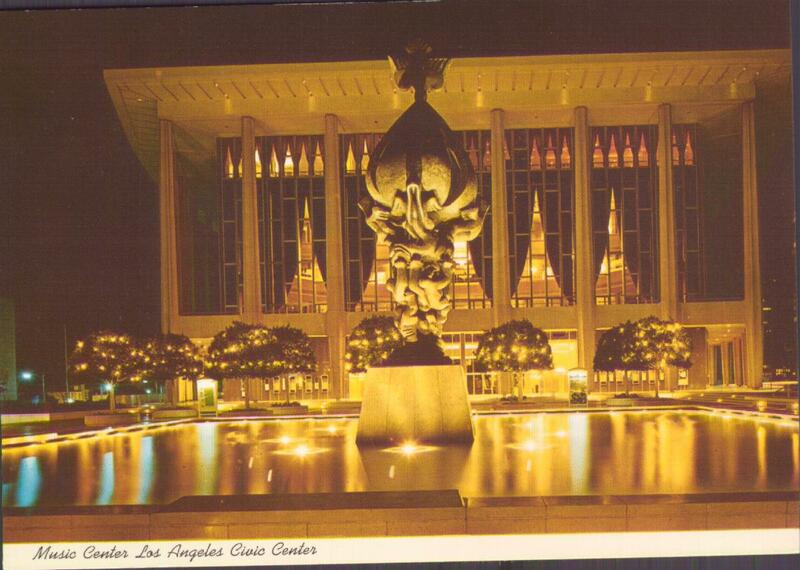 Music Center for the performing arts, located in the Los Angeles Civic Center. This beautiful pavilion is a 3,250 seat Symphony Hall and Opera House, and is one of the largest and modern cultural complexes in the world. Photo by Ed Cooper.